It took five quarters before the 2015 Thibodaux Tigers scored its first points - a field goal, then a touchdown that had THS within striking distance of East Ascension (14-10) after one half of play. The teams exchanged touchdowns in the second half of a 21-18 EAHS victory that dropped the Tigers to 0-2. Next up on the schedule was South Lafourche in Galliano where our Tigers had won three of the last five meetings against the Tarpons. Thibodaux made it four of six with a convincing 35-9 victory at SL - the first of six straight wins that had the Tigers at 6-2 and 4-0 in district play entering a huge game with 8-0 Destrehan. The Wildcats were too much for our Thibodaux Tigers on that Halloween night in Destrehan. It was the first of three losses to close out 2015 with Hahnville rolling over THS in the last week of the regular season and Mandeville winning a first-round playoff game on the Northshore. This year's team didn't quite live up to expectations, but it was always fun to watch. 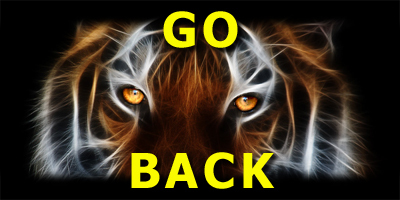 After being shut out in week one, the 2015 Tigers tallied 350 points in the next ten games - 35 points per game! All Comets tonight in a most disappointing start to the 2015 season for the THS Tigers. enough as the Destrehan Wildcats held off a valiant streak of Tigers and claimed the district championship.